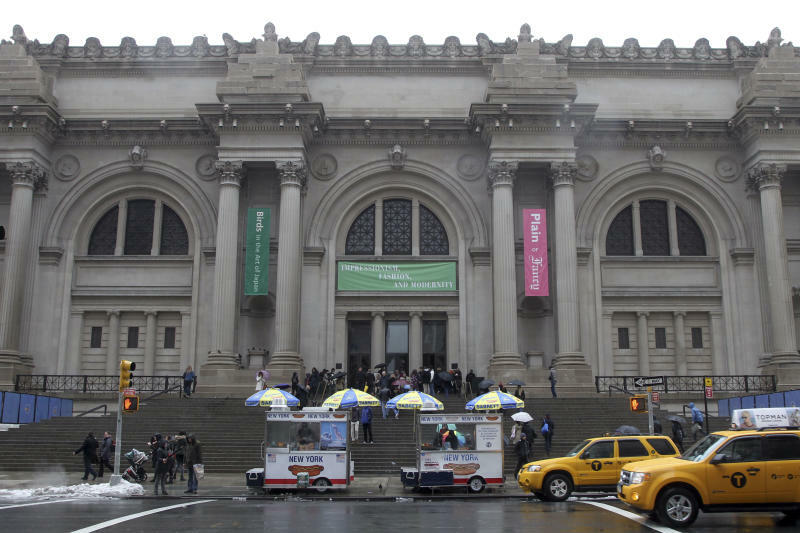 NEW YORK (AP) — Before visitors to the Metropolitan Museum of Art can stroll past the Picassos, Renoirs, Rembrandts and other priceless works, they must first deal with the ticket line, the posted $25 adult admission and the meaning of the word in smaller type just beneath it: "recommended." Many people, especially foreign tourists, don't see it, don't understand it or don't question it. If they ask, they are told the fee is merely a suggested donation: You can pay what you wish, but you must pay something. 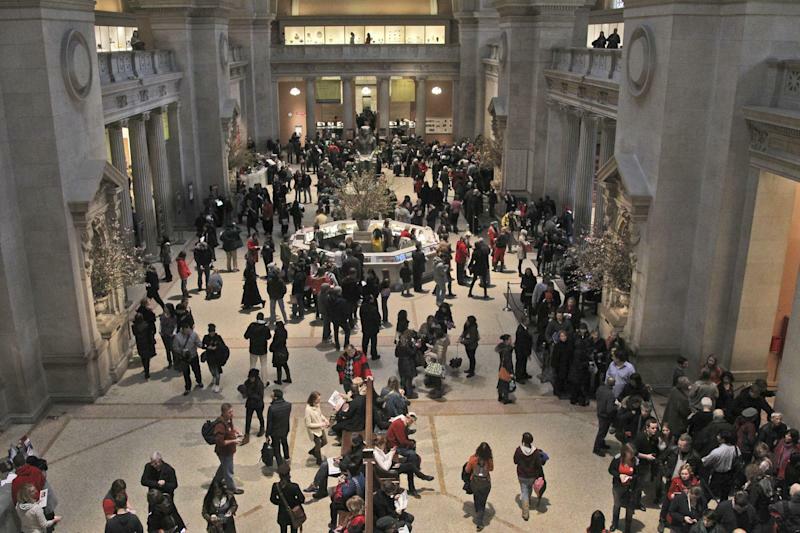 Confusion over what's required to enter one of the world's great museums, which draws more than 6 million visitors a year, is at the heart of a class-action lawsuit this month accusing the Met of scheming to defraud the public into believing the fees are required. 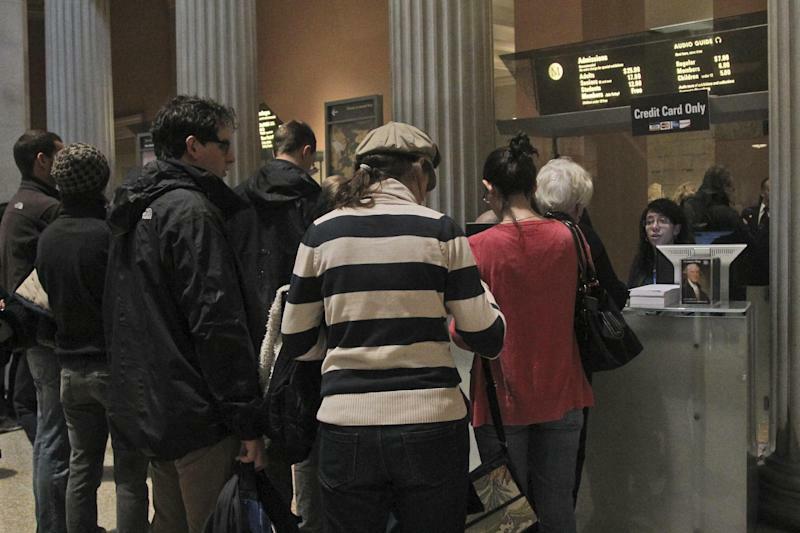 The suit seeks compensation for museum members and visitors who paid by credit card over the past few years, though some who choose to pay less than the full price pull out a $10 or $5 bill. Some fork over a buck or loose change. Those who balk at paying anything at all are told they won't be allowed in unless they pay something, even a penny. Met spokesman Harold Holzer denied any deception and said a policy of requiring visitors to pay at least something has been in place for more than four decades. "We are confident that the courts will see through this insupportable nuisance lawsuit," he said. Lined up to testify is a former museum supervisor who oversaw and trained the Met's admissions cashiers from 2007 to 2011, said Michael Hiller, the other attorney representing the plaintiffs. The supervisor is expected to testify that the term on the sign was changed in recent years from "suggested" to "recommended" because administrators believed it was a stronger word that would encourage people to pay more, Hiller said. The Metropolitan Museum is one of the world's richest cultural institutions, with a $2.58 billion investment portfolio, and isn't reliant on admissions fees to pay the majority of its bills. Sixteen percent of its $239 million budget in fiscal 2012 came from admissions. That same year, the city paid 11 percent of its operating budget. As a nonprofit organization, the museum pays no income taxes. But Dan Larson and his son Jake, visiting the museum last week from Duluth, Minn., were unaware there was any room to negotiate the admission price. They paid the full $25 each for adult tickets, with a credit card. "It's a beautiful museum, and I was happy to pay," she said.